Matthew B. Swope has received the School of Music's 2013-2014 Outstanding Alumni Music Educator Award. This award recognizes alumni who are making a positive difference in the lives of their students through music education, and to allow current students to learn from the expertise and experience of successful alumni-teachers. He will return to campus in fall 2013 to receive the award formally, and to work with music education students. Matthew is director of choral activities and performing arts department chair at Winter Park High School in Winter Park, Florida. He oversees the music department and a choral program consisting of eight choirs, while conducting six choirs and teaching Advanced Placement music theory. He is also a voice faculty member at Rollins College in Winter Park. A native of Waynesboro, Pennsylvania, he was a Schreyer Honors College student as an undergraduate. He graduated Phi Beta Kappa with bachelor's degrees in Music and in Classics & Ancient Mediterranean Studies ('04). 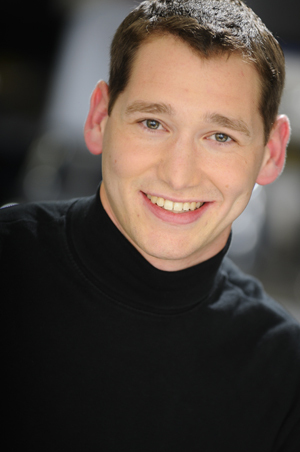 Matthew then completed his master's degree in Voice Performance and Pedagogy ('06), and his music teacher certification, also from Penn State ('07). Choirs from Winter Park High School under his direction have performed for the Florida chapter of the American Choral Directors Association and have participated in the International Championship of High School A Cappella finals in New York, New York. His choirs have also performed concerts at the National Cathedral in Washington D.C., and have participated in a masterclass with the professional vocal ensemble Chanticleer. As a scholar, Matthew has presented his work at conferences of the American Choral Directors Association, Florida Music Educators Association, and the Classical Association of the Middle West and South. While maintaining his busy teaching schedule, he has remained active as a tenor soloist, and has been featured regionally and nationally in works by composers including J. S. Bach, Beethoven, Handel, Haydn, Mozart, Orff, Purcell, Vaughan Williams, and Vivaldi. In addition, Matthew performs as a choral singer and soloist with the Simon Carrington Chamber Singers (SCCS) and Essence of Joy Alumni Singers, and is featured on the SCCS debut album titled Go, Song of Mine. He was a voice student of Richard Kennedy and Susan Boardman while at Penn State, and has participated in voice masterclasses with Marilyn Horne and Dawn Upshaw. Matthew is a member of the American Choral Directors Association, the National Association for Music Education, the Florida Music Educators Association, and Pi Kappa Lambda.